A solar filter is utilized to reduce the intensity of sunlight and enable a camera to capture the image of the sun with the correct exposure, even under bright daylight. 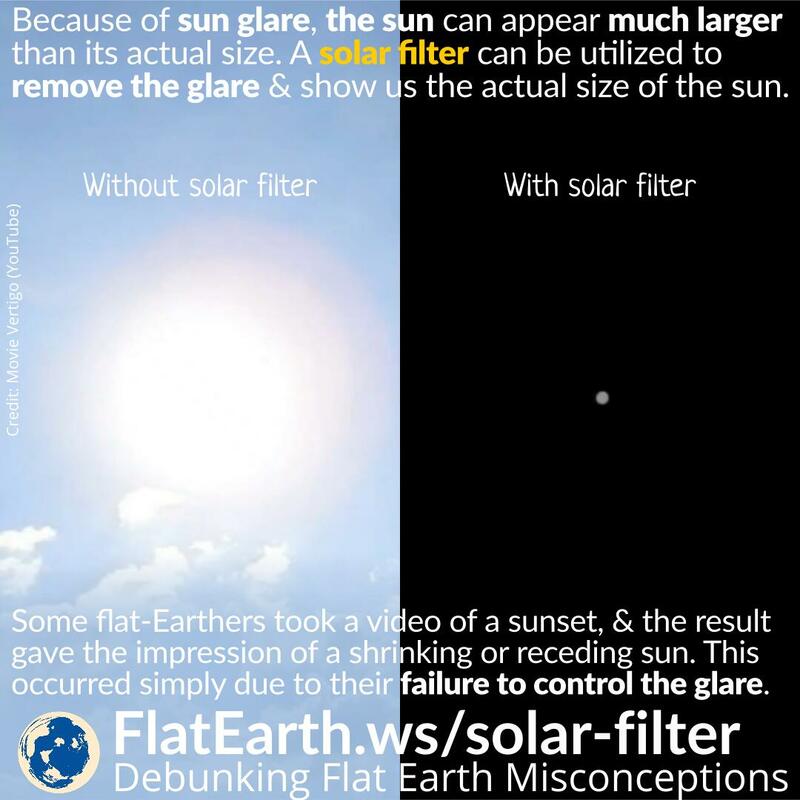 Without a solar filter, sunlight can be too bright to be correctly exposed by a camera. 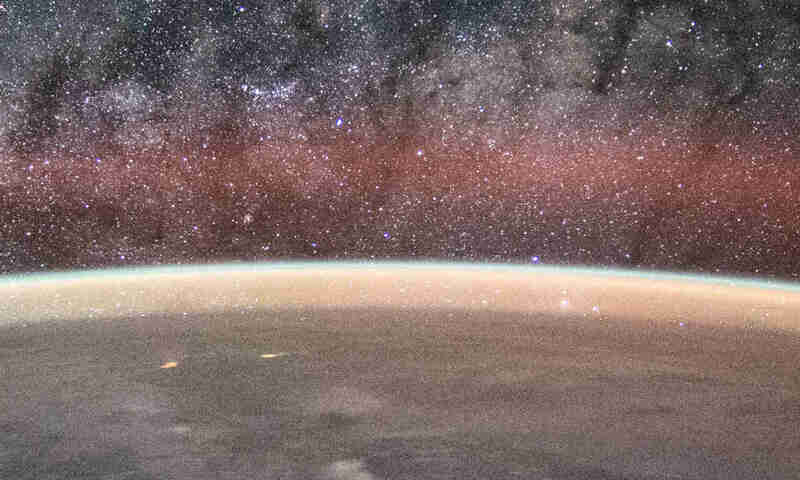 Some flat-Earthers made their observation of the sun using a camera without a solar filter. As a result, in some of their images, the sun appears much larger due to the fact the camera cannot distinguish the sun and the sun glare around it. Without a solar filter, sunlight would have been too bright, and cause sun glare around it. Sun glare is caused by scattering from the atmosphere, internal reflections in the camera, or the ‘blooming’ phenomenon in the sensor of the camera. To the camera itself, the sun and its glare are both too bright and cannot be distinguished from each other. As a result, the sun appears much larger than the actual size, and without a sharp boundary. Using a solar filter, the intensity of sunlight is reduced up to 0.00001% of the original intensity. The sun glare —which in reality is much dimmer than the light coming directly from the sun— is also affected by the same amount, and no longer visible to the camera. Only the light coming directly from the sun itself is hitting the camera’s sensor in a meaningful amount. When using a solar filter, other objects in the scene will not be visible and appears dark due to the fact any light coming not directly from the sun will be too faint to be recognized by the sensor of the camera. To measure the size of the sun, using a solar filter is mandatory, especially during a bright daytime. If not, the edge of the sun will not be clearly defined, and the size of the sun’s disc will appear much larger than its actual size.